Hello! Well, here we are at Monday again and time for a fresh week of Dies R Us inspiration. 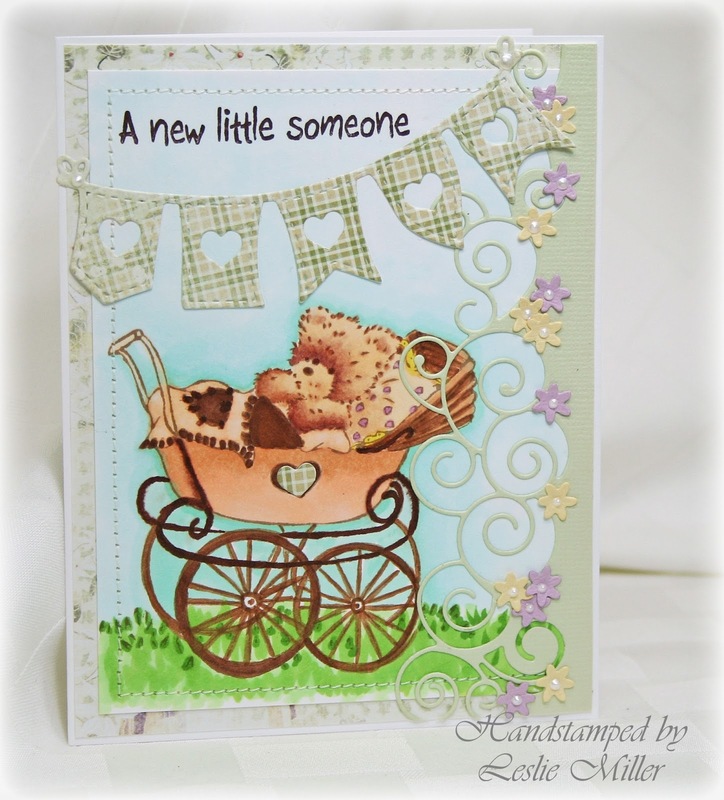 Today I’ve made a baby card using an older Crafter’s Companion set called Bundle of Joy. 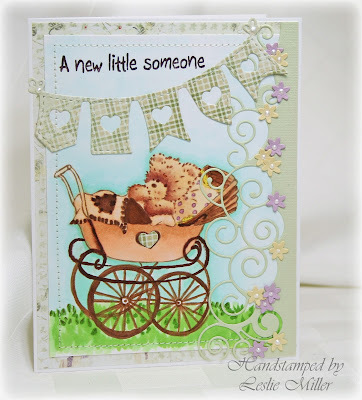 It’s a plain fact that I love baby cards and I also love anything swirly and curly, so I put the two together. My swirls and curls today are Memory Box Big Splash Border. With such a name you can guess it’s meant to resemble splashing waves, but I thought if I turned it vertically and added some tiny flowers it would make a pretty border for just about any cute image. My itty bitty flowers are Impression Obsession Tiny Flowers. This die cuts a mass of flowers all at once, which is definitely a time saver. All the little pearls in the flower centers were made with a Viva Décor Pearl Pen. The sweet banner is La-La Land Random Flags w/Hearts Banner. Thanks for dropping in today! Enjoy your week!